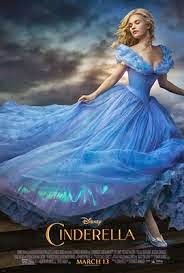 Every one in the designing world has been all abuzz about the upcoming Disney Cinderella live action movie. And why wouldn't they be? The costumes, are as expected, stunning. I was so excited when I saw the testing call for Create Kids Couture's version, that I stuck my name in the testing hat asap. Their version - the Elora - was released today in both girls and tween sizes. Here is the pattern cover. If you are like me and sew for the older girl - finding formal wear patterns is almost impossible. Thanks to CKC, we now have an option. I decided to make my sample geared more toward what middle school girls might wear something like this for - junior cotillion balls, first communion, or school formals. I tested the size 15/16 with the A cup bodice. And here are my pictures in our grown up princess dress. 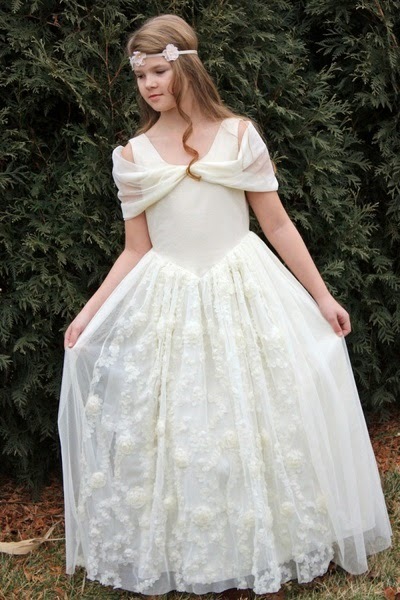 It is a beautiful dress and I highly recommend it for your tween arsenal. It can be purchased here http://www.createkidscouture.com/eloras_tweens.html. It is a more complicated sew than most CKC patterns being that it has buttonholes, more difficult fabrics to use, and some more precise sewing; however the instructions are well written and with patience, you will be able to knock this one out of the park. simply beautiful. And you are right, a good tween formal dress pattern is a rare find.